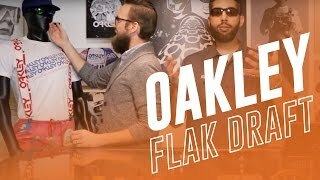 Oakley's Flak Draft Asian Fit models are multisport sunglasses that will change the meaning of performance. 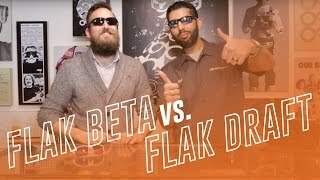 The Flak Draft’s unique design allows for a one step process in which you can change lenses on the sunglasses quickly. 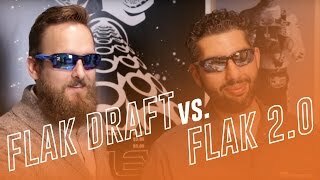 Oakley Flak Draft Asian Fit models are constructed with Oakley’s proprietary O Matter to allow super lightweight comfort and extraordinary durability. The frames on the Flak Draft Asian Fit sunglasses have integrated anti-fog ventilation, unobtanium earsocks and nosepads for better stability, and a sculptural design influenced by the SI Speed Jackets Oakley models. Experience unbeatable protection and clarity from a pair of Oakley Flak Draft prescription sunglasses.